I know there will be Linux and Python specialist spitting feathers about this approach. But if you're in need of an up to date python environment then the following approach might be of help.It's worth nothing that this technique will probably work on most Oracle Enterprise Linux or Red Hat Platform releases. #make localdirectory to install python i.e. I've uploaded 3 videos on installing and configuring sharding in Oracle Database 12c Release 2. 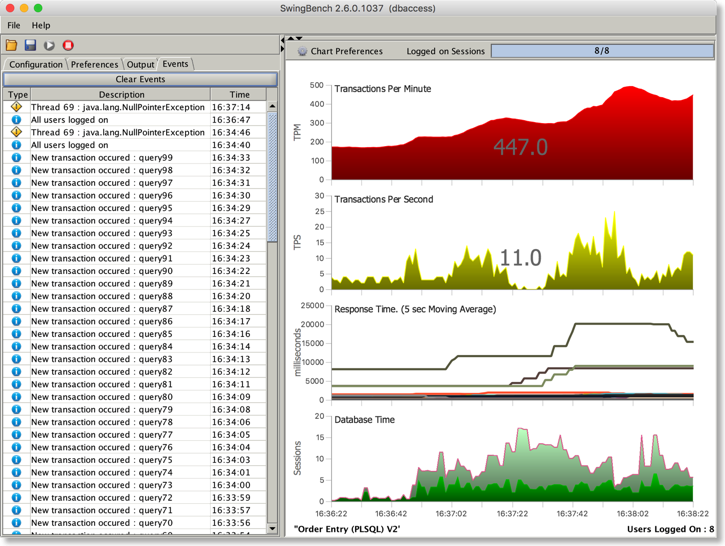 I use Virtual Box running Oracle Linux to create a sharded database and run a swingbench workload against it. In part 3 I then add a new shard online and monitor the database as the data is rebalanced across the cluster. You can see them below but I reccomend running them full screen because there's quite a lot going on. A new option to reverse the order in which tables are build by the data generators i.e. small tables first or large tables first. The stats files also contain tps,cpu and io readings where available. I'll be uploading the code shortly to the usual place. I create a lot of small databases to do testing on. The trouble is that I often need to change the size of redo log files when I'm testing large transaction workloads or loading a lot of data. Now there are lots of better ways to do whats shown in the code below but this approach gave me the chance to keep brushing up my python skills and use the might cx_oracle driver. The following should never be considered anything but a nasty hack but it does save me a little bit of time i.e. don't use this on anything but a test databaseâ€¦ Clearly the sensible way to do this is to write my own scripts to build databases. The following code works it's way through the redo log files drops one thats inactive and then simply recreates it. It finished when it's set all of the redo to the right size. Note : the user is the sysdba of the container database if you are using the multitenant arhcitecture and the size is in Mega Bytes.